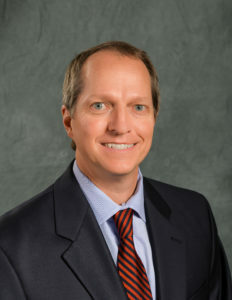 Dr. Smith specializes in medical and surgical ophthalmology. He is a graduate of the University of Georgia with a B.S. in Zoology. His medical degree was earned at the Medical College of Georgia in Augusta, Georgia, where he earned the Deanâ€™s Research Fellowship as well as membership in Alpha Omega Alpha honor medical society. After an internship there, he completed his residency in ophthalmology at the University of Virginia in Charlottesville, Virginia. Dr. Smith is certified by the American Board of Ophthalmology and is a member of the American Medical Association and the American Academy of Ophthalmology. Dr. Smith is past president of the Buncombe County Medical Society Corporation. 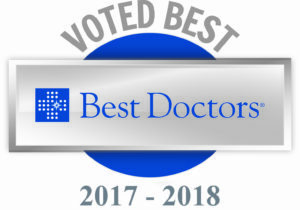 Dr. Smith was named among the Best Doctors in America for 2017-2018 by Best Doctors, Inc., a survey of more than 45,000 doctors in America. Recognized by his peers as an outstanding expert in ophthalmology, Dr. Smith is among only 5% of physicians in the U.S. selected for this prestigious honor.Dr. Smith joined Asheville Eye Associates in 1997. He lives in Asheville with his wife and two sons. He finds North Carolina the perfect place to pursue his hobbies of mountain biking and hiking.